Back in 1997, I was lent the novel ‘Perfume’, written by German author Patrick Süskind which I read with thorough enjoyment. The same person who had broadened my literary mind than introduced me to ‘The Wasp Factory’, by Scottish author Iain Banks. Up until this point I hadn’t heard of Banks, however, I am thankful for the introduction to a long association for an author who would quickly become not only one of my favourite writers but reference points for thinking and consideration. I’ve always been an avid reader of Science Fiction, having been introduced to it by my engineer father when I was an early teenager. I had access to my Dad’s collection of Hugo and Nebula award winning books and was always invited and encouraged to read these at my leisure. With the readily accessible bookshelf in my fathers study, my consumption was limited to fare within the genres of Hard & Social Sci-Fi and Cyberpunk, with authors such as Isaac Asimov, Piers Anthony, Neal Stephenson, David Brin, William Gibson capturing my imagination in my teenage years. Over this time, I also discovered Sci-Fi Fantasy, initially in the original Dragon Lance Chronicles by Margaret Weis and Tracy Hickman, but graduating to Raymond E. Feist, David Eddings etc. The concept of Space Opera was introduced by Banks and his Science Fiction alter ego, the altogether more serious Iain M. Banks. This foray led me to being introduced to the works of Peter F. Hamilton, Alastair Reynolds and others. When I was working within digital services and consulting in 2007, I came to the conclusion that it would be worth my while to start my own blog, for many and varied reasons, including personal gratification and the ability to define some professional opinions, experienced based commentary and build upon my ‘personal brand’ – even before the term became trendy. Then I had the appearingly complicated task of trying to work out what I would call my blog. http://www.colinyeung.com was (and still is) taken up by some chap in Canada, who is paying his annual domain ownership but not doing much else and I wasn’t really interested in buying a .com.au domain, for the fact that I’d have to register a business to access this and was actually wanting to present a more globalised, unified, view of the world. At the time, I was reading a lot of blogs, by people I’d both met, but also followed through blog/rating aggregator sites like Technorati and Blogster. Reflecting upon my interests and experience, it was no great stretch to consider that Banks Culture would play a part. I settled upon Iain M. Banks artifically constructed sentient intelligences from his future imperfect “The Culture” known simply as “Minds”, humanities and broader civilisations erstwhile custodians. “In Iain M. Banks’ Culture series, most larger starships, some inhabited planets and all orbitals have their own Minds: sentient, hyperintelligent machines originally built by biological species which have evolved, redesigned themselves, and become many times more intelligent than their original creators. These Minds have become an indispensable part of the Culture, enabling much of its post-scarcity amenities by planning and automating society (controlling day-to-day administration with mere fractions of their mental power). The main feature of these Minds—in comparison to extremely powerful artificial intelligences in other fiction—is that the Minds are (by design and by extension of their rational, but “humanistic” thought processes) generally a very benevolent presence, and show no wish to supplant or dominate their erstwhile creators. Starting at what I thought was the most obvious candidate, I was absolutely astonished to find that the domain http://www.theculturemind.com was available and bought it immediately. 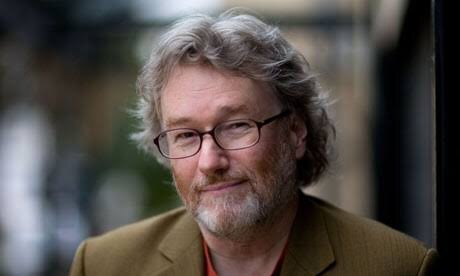 Iain Banks passed away in early June 2013, from cancer. Reported in the press, he appears to have been quite the character – drugs, scotch, smoking, fast lifestyle, searing, caustic commentary – all characterised his online persona and larger than life reputation. In person, when I attended a couple of his book launches, he was anything but. Perhaps because he had a captured, captivated, audience, hanging on his every word, I found him to be pleasant, insightful and entertaining. He DID have a glass of scotch, neat, handy, which he took sips from. It could have been a cup of tea, for all we knew. The Independent UK – Iain Banks goes out with a bang, his final book, The Quarry, is very, very good.